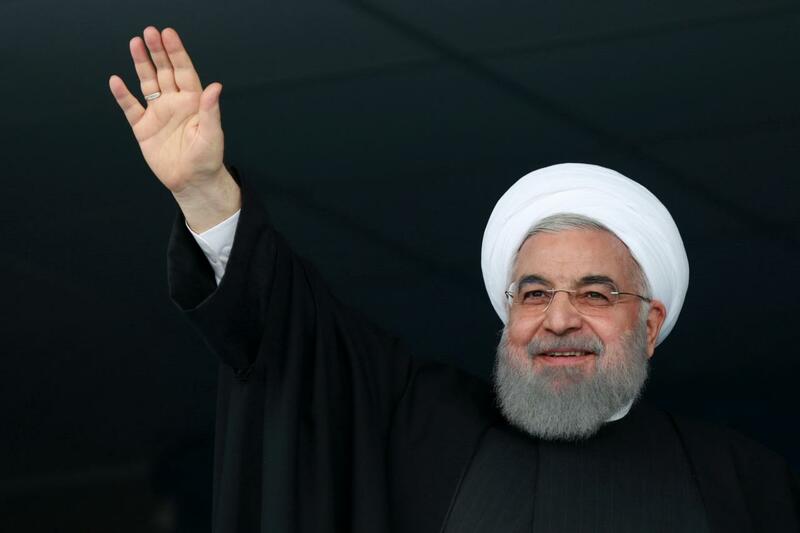 DUBAI (Reuters) – Iran is ready to work with all of its neighbors to secure peace in the Middle East in the face of US and Israeli aggression, President Hassan Rouhani said on Sunday, in his latest attempt to weaken ties between regional rival Saudi Arabia and America. But pressure is building on Tehran after President Donald Trump pulled the United States out of a 2015 nuclear deal with six world powers and reimposed sanctions. Saudi Arabia welcomed the move. “Those regional states that believe Israel and America can establish security are wrong. We, the Muslims, should ensure the regional security,” Rouhani said, to chants of “Death to America,” and “Death to Israel”. Rouhani’s previous overtures to Saudi Arabia, such as after his election in 2013 and efforts by his Foreign Minister Mohammad Javad Zarif in 2017, have had no success, and some analysts were skeptical his latest attempt would be different. “Considering the ongoing hostility, there is no possibility of a dialogue between the arch enemies,” said Tehran-based analyst Hamid Farahvashian. Iran accuses Saudi Arabia and the United Arab Emirates of supporting militant Sunni groups that carry out attacks against Iranian forces, including a suicide bombing on Wednesday in Iran’s southeastern province that borders Pakistan. Sunni group Jaish al Adl (Army of Justice), which says it seeks greater rights and better living conditions for the ethnic minority Baluchis, claimed responsibility for the attack that killed 27 members of Iran’s elite Revolutionary Guards Corps. The Revolutionary Guards have threatened Saudi Arabia, the UAE and Pakistan with retaliation. Saudi Arabia, the UAE and Pakistan deny backing the militants. Iran’s foreign ministry on Sunday summoned Pakistan’s ambassador to protest about Wednesday’s attack.